Preheat the oven to 350 degrees Fahrenheit. Line a 9-inch pie plate with one of the pie crust halves. Trim the excess. Add the fresh fruit to a large bowl. Sprinkle in the lemon juice and then toss in the flour. Stir in the sugar. Pour the filling into the pie plate. Cover with the other pie crust half. 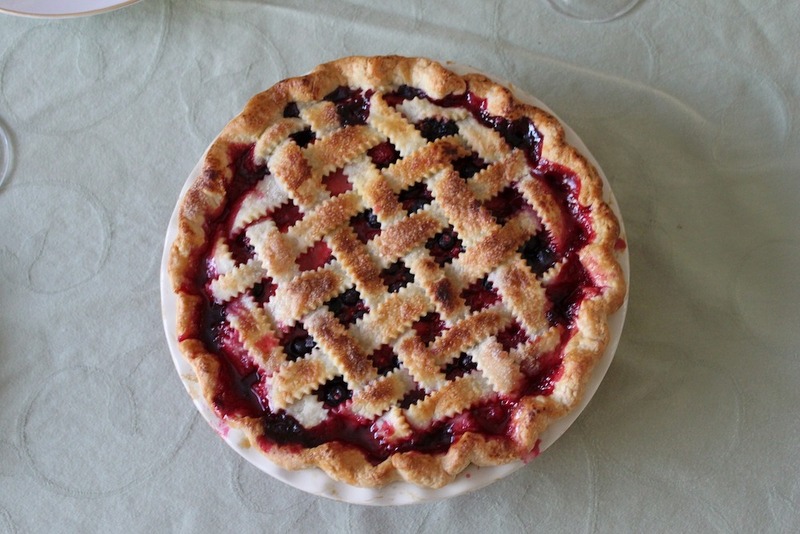 Press the edges of the pie down with a fork in order to bring the two ends together. Score the top of the pie with the tines of the fork all over the top to let the pie ventilate while it bakes. You may also lattice this second piece, if desired. Sprinkle with sugar. Place the pie in the center of the oven and bake until golden brown. This should take 35-40 minutes. Place the fruit in a food processor with the cilantro, lemon or lime juice, sugar, and chili powder if using. Pulse until desired texture is achieved. This is really up to you but most people seem to prefer this if it is on the slightly chunky side. Serve with chips or crackers of choice. Preheat the oven to 350 degrees Fahrenheit. Spray a cake pan with nonstick cooking spray. Use whichever pan the vanilla cake recipe indicates. Prepare the cake according to the recipe instructions, except reduce the liquid (water or milk, depending on the recipe) by half. Once the batter is prepared, fold in the fruit puree. Pour the batter into the cake pan and place in the center of the oven. Bake until a toothpick inserted in the center comes out clean. This should take 35-40 minutes (follow the recipe instructions for cooking times). Let the cake cool according to the recipe instructions. Ice the cake or dust it with powdered sugar after it cools, if desired.